Help very young children explore their world and discover God's love for them with these first words with God. 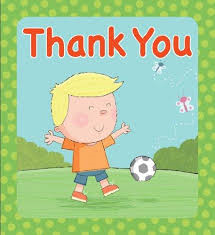 This colourful and sturdy padded board book teaches children the importance of saying 'Thank you'. Illustrated with bright cheerful pictures of everyday scenes that children can relate to and one simple sentence per page.